Be the first to hear about their new releases and deals. Download the Booksprout app and search for Amelia Wilson today! Amelia Wilson has dedicated her life to writing. She is a firm believer in the power of love to conquer all, and her works reflect this belief. Her paranormal romances are known for their love stories, action and suspense. She creates immersive worlds that are rich in detail and full of emotion. Writing has always been very close to her heart. When she is writing a novel, she travels into that world and attaches her emotions to the story. She expresses herself better in written words than she could ever do verbally. She believes in love, and that love can conquer all, which is the reason why she is a writer of romance. She wants all the people, who have been hurt in love, not lose hope as fate changes and soon enough you all will find your one true love. 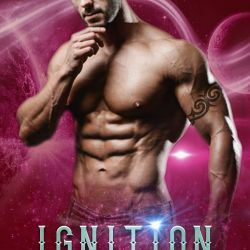 Her books are a great way to satisfy your craving for paranormal romance with action, Love and suspense.